The latest entry to our REACTIONS segment is an entry by a commentator on Punch in relation to the scandals from immediate former Lagos State governor, Tunde Fashola. The end of this drama will be more interesting than the beginning. The EFCC should open the book of the Lagos state government cause if 78 million can be used to upgrade a website and 139 million used to build 2 boreholes, heavens knows the level of corruption that took place in Lagos state. 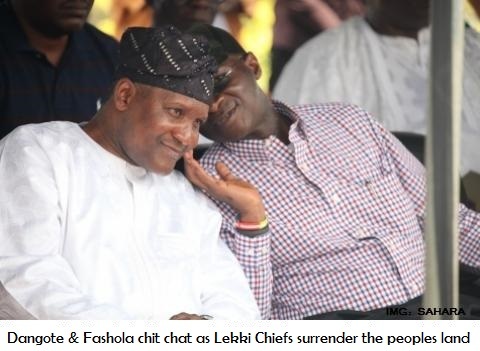 The report said these expenditure were authorized by the Lagos State house of Assembly. What the report did not tell us is, did the Assemly approve the contract at the price displayed on the pages of newspapers or the contracts were inflated after the initial approval by the house of Assembly. Did the expenditure pass through the relevant government agencies? If yes, at the price displayed here or inflated by Fashola? If the expenditures are at the price displayed here, it means those that approve the money, the house of Assembly members that approved 139 million Naira for two boreholes should all be investigated and those found culpable should be brought to justice. THE DECISION WE TAKE TODAY MAY LIBERATE OR IMPRISON US TOMORROW.